Ian Hislop's entertaining, provocative look at attitudes to immigration from the Victorians to the First World War sheds a sharp light on the choices facing Brexit Britain. Featuring Alan Johnson, Baroness Warsi, Kate Hopkins. How should we respond to the vast numbers of newcomers arriving on our shores: a force for good to be welcomed in the tradition of tolerance, or a cause for anxiety about jobs, public services and the changing face of Britain’s towns and cities? 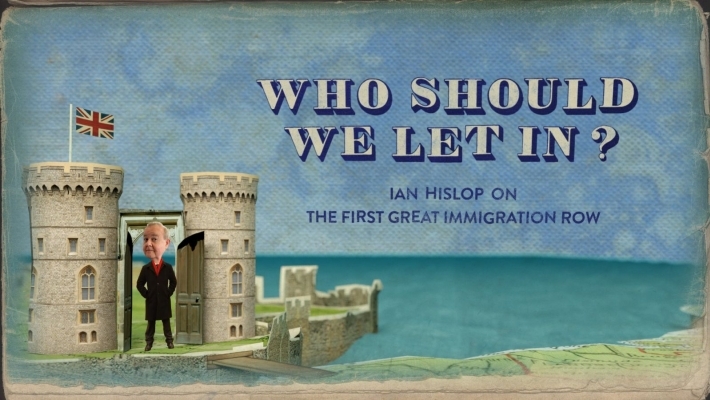 In this provocative new programme, Ian Hislop sets out to explore the rich history that lies at the heart of our conflicted attitudes to immigration today. Exploring attitudes to immigration in Victorian and Edwardian Britain, Ian casts a searing light on one of the most important and divisive issues of our times. This was the era when British views on immigrants crystallised and when modern Britain’s first peacetime controls on immigration were introduced, leaving a legacy we’re still grappling with today. The Victorians had a completely open door to foreigners, drawing no distinction between economic migrant and asylum seeker. But as Ian explores, rising immigration in the late 19th century triggered a fierce – and very familiar debate – fuelled by clashing values, economic anxiety and the media. When 100,000 Jewish refugees arrived, indigenous working-class hackles rose at higher rents, lower wages and changing inner-city neighbourhoods. Hostility was stoked by Major Evans Gordon, an East End Tory MP who campaigned vigorously to reduce immigration, side by side with the proto-fascist British Brothers League. 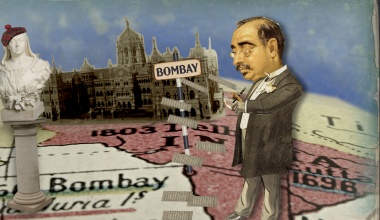 Ian also uncovers the surprising case of Mancherjee Bhownagree, an Indian immigrant who stood for Parliament in 1895 - and won - on an anti-immigration ticket. Another young MP, Winston Churchill, spoke out against the tough curbs proposed by the 1902 Royal Commission, lambasting it as the work of prejudice and racism. But the 1905 Aliens Act restricted peacetime immigration for the first time. Ian also examines the role of the press in fuelling fear and prejudice against migrants, focusing on Britain’s tiny Chinese community which, thanks to sensationalist journalist Claude Blake, fell prey to a full-scale ‘Yellow Peril’ media scare. But he also uncovers extraordinary British generosity towards refugees – telling the story of the unprecedented WW1 humanitarian relief effort orchestrated in part by the remarkable Lady Lugard, when ordinary Britons selflessly opened their homes to a quarter of a million Belgians. Ian discusses attitudes to immigration then and now with former Home Secretary Alan Johnson, former Tory Chair Baroness Warsi and controversial columnist Katie Hopkins. In addition he takes counsel from Yellow Peril expert Anna Chen, Robert Winder, historian and author of ‘Bloody Foreigners - The Story of Immigration to Britain’ and David Rosenberg, historian and local guide to East London. He also takes the temperature of the nation – in animated conversation with native and foreign-born Brits in London, Liverpool and Folkestone.